At the first of the year when I changed notebooks, I went with the same future log that I did before with the calendar setup. I added some stickers and color coded depending on what was going on to make it easy to glance at it. The calendar setup is definitely the best way to keep track of appointments and our schedule. 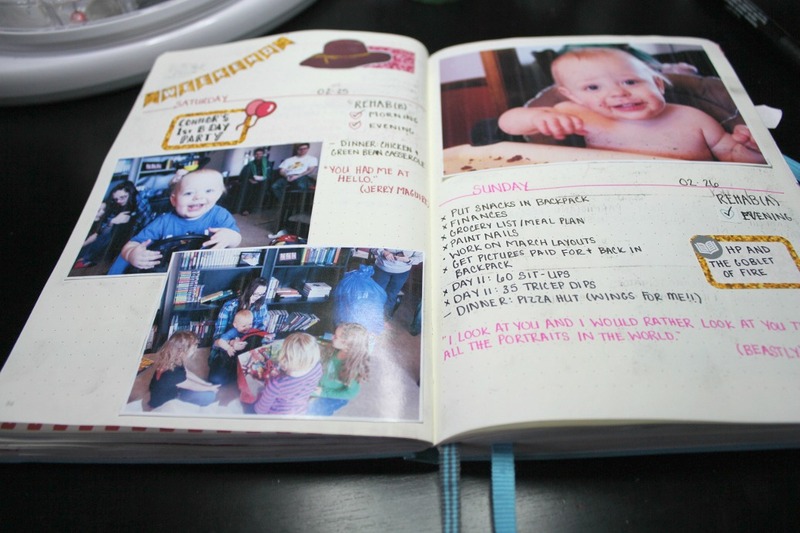 I added some extras in at the front of my notebook, including this layout which tracks some TV shows we are watching. 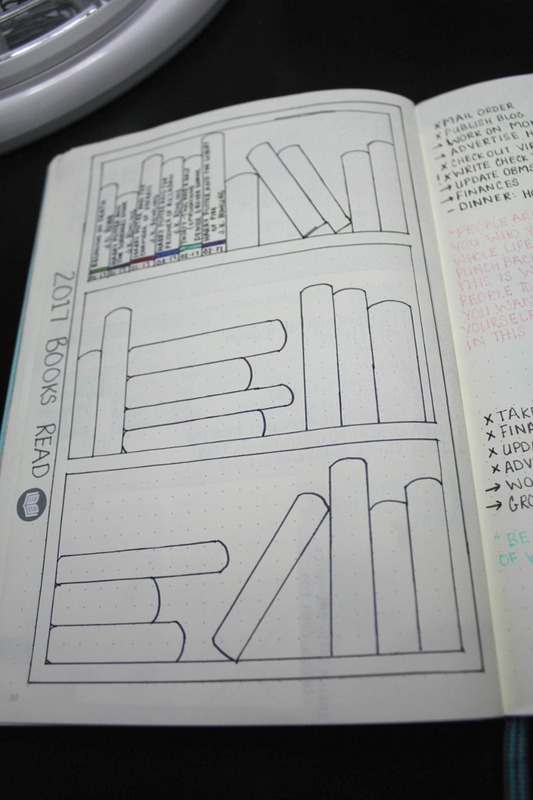 I also went with another book tracker for this year, only this year I took more time drawing my bookcase and books. I use Pinterest a lot to find inspiration and try to draw and recreate what I see and what I like. My daily spreads also changed quite a bit. 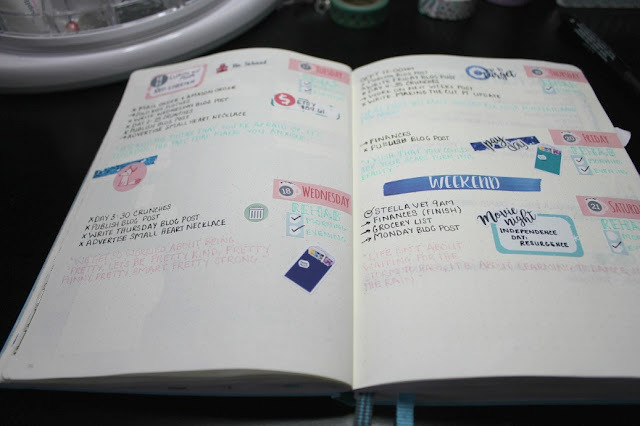 While I was laid up with my knee, I spent a lot of time watching people plan and decorate different kinds of planners on Youtube and became addicted to the idea of using those stickers in my bullet journal. Of course I had no idea how to add them in but I found little ways to make it feel more like my own. 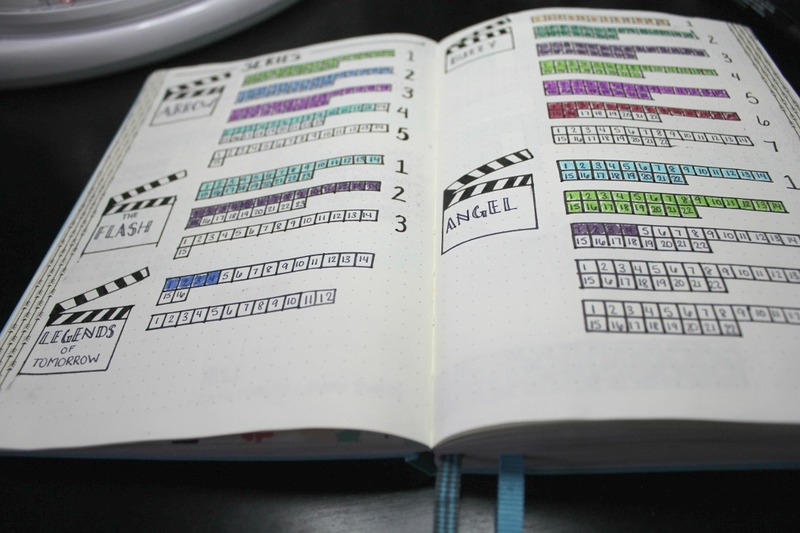 I never liked the idea of changing planners to make those kits and stickers work because I love the bullet journal system so I made it work for me. 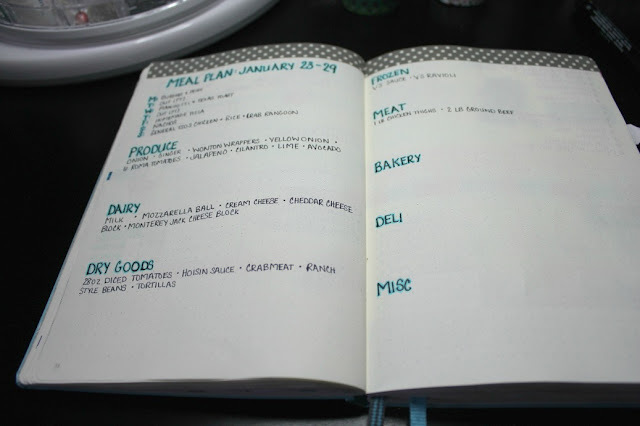 Meal planning continued for me but I enjoyed changing it up and make the layouts look different each month. A lot was still trying to find my way and figure out what worked best. 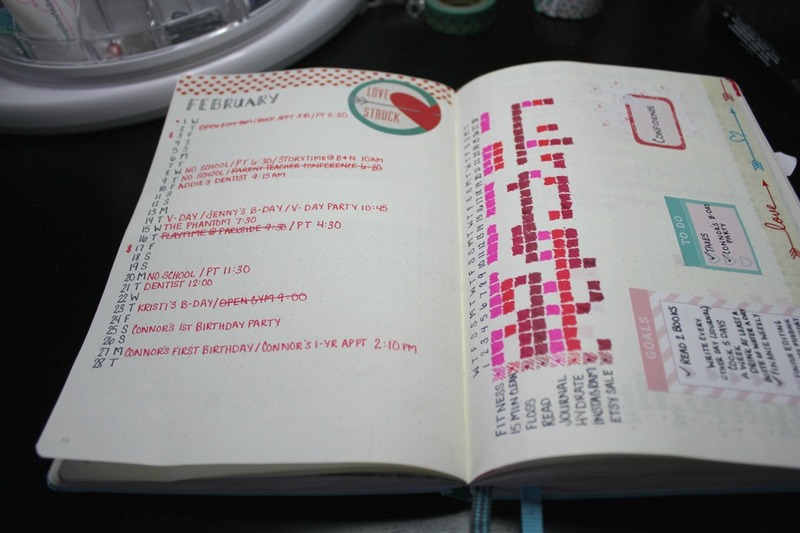 I continued using colors and color coding each month. 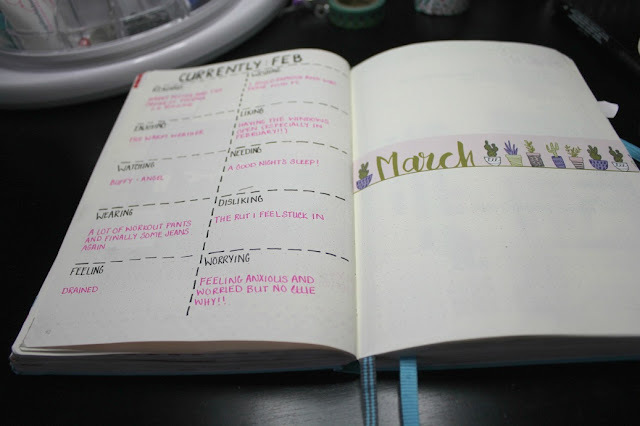 I found ways to add in stickers to figure out monthly goals, monthly to do and even adding in a word of the month. I continued to use stickers, especially to point out big things that happened during the day. 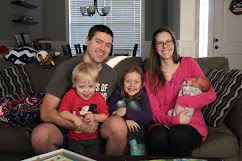 But I also loved the idea of adding in my pictures and making it also a way of memory keeping for those important and big things in our lives. I also added in a currently section at the end of the month which I have enjoyed looking at each month. 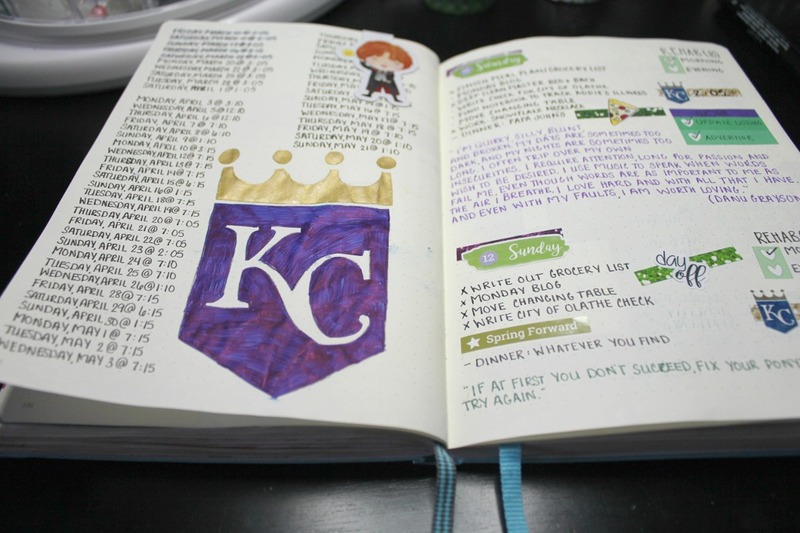 In this journal with baseball season coming up I added in a spread to include the Royals schedule in order to quickly reference when a game is on. The KC crown was printed off then traced on using graphite paper then colored in with gel pens. It took forever to dry but I really love how it turned out. I love using my bullet journal as a a memory journal as well. I have a regular journal that I just write in but I love being able to add color and pictures into this one that goes along with my functional day. The thing I love about the bullet journal system is that you can do it any way you want. You can make it super functional black and white only, or you can add stickers and stamps and pictures and handlettering to the pages. You can make it super functional or more of an art journal. Or like me, you can make it both. 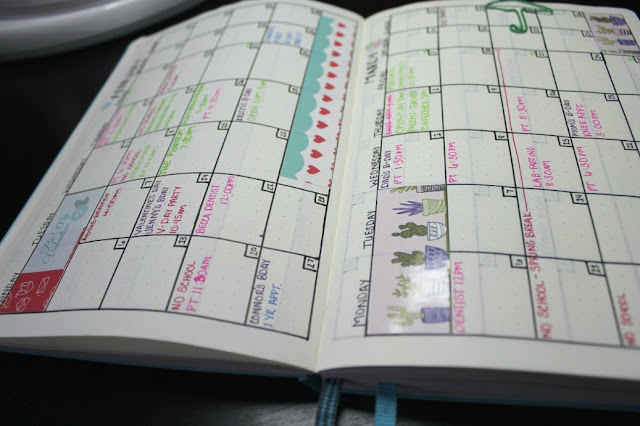 Comment below: How do you keep yourself organized? 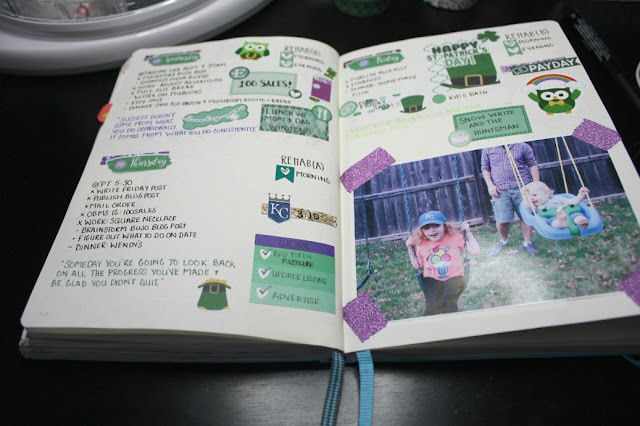 Share your own bullet journal or regular journals or planners below.